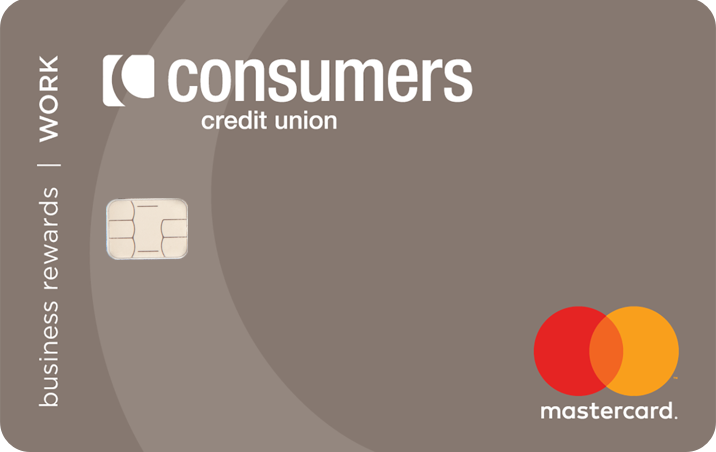 Consumers Credit Union has credit card options that make it easy to fit the way you live, work and play. And you get the flexibility to select the benefits you desire most, including rewards for every purchase, competitive rates and no annual fees! You work hard for your money and deserve to be rewarded! With your Consumers Rewards Mastercard® you get to choose how to redeem the points you earn while making everyday purchases. What’s your pleasure—gift cards? Travel? It’s up to you. 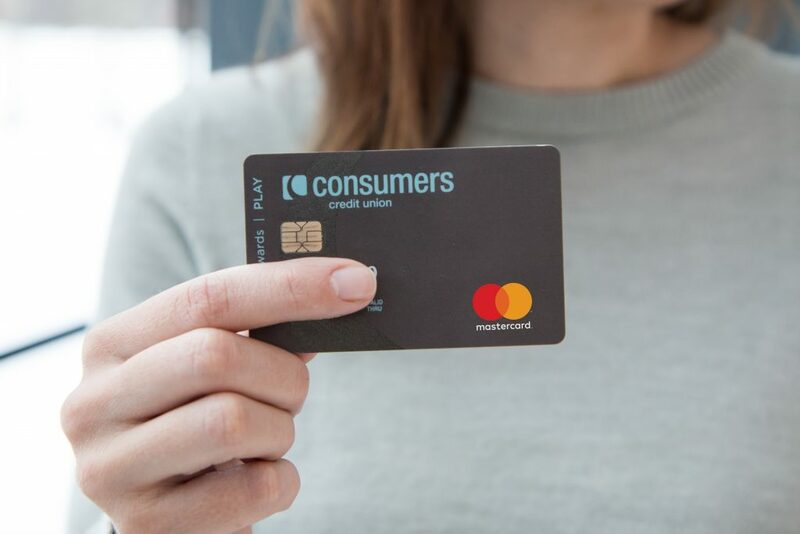 Because every dollar matters to you, your Consumers Low Rate Mastercard® brings you our best value to help you save on purchases. Get the service you expect plus a competitive low interest rate. Give a little credit to your business. 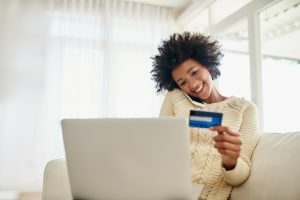 During the first 60 days after a purchase, Mastercard will pay the difference between the price you paid and a lower advertised price for personal cards. Whether you use your Mastercard to shop online, by phone or in stores, every purchase is backed by Zero Liability protection. That means you won’t be held responsible in the event someone makes unauthorized purchases with your card. 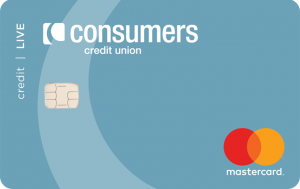 Plus, all our cards have chip technology, which is the industry standard security feature to help reduce credit card fraud on all card transactions. Click here to see how to add these to your smartphone. 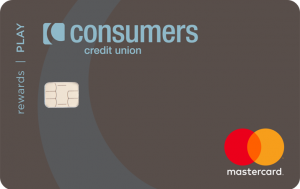 Want to improve your credit score to get a better card deal? Check out our Credit Smart Program. 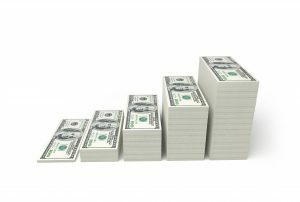 How long will it take me to pay off my credit card debt? Find out with our credit card repayment calculator.